We are well on our way in major additions to the fleet in this new year and we’d like to share our status report with you. 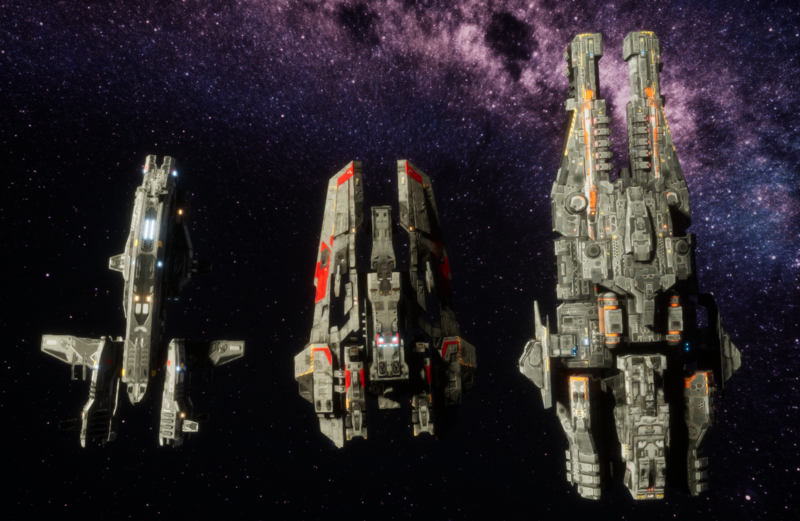 We have new Com Relays, Intel on some Aegis of Terra Ships, and new Weapon Systems that are currently being developed. Our Satellites used for Mag Drive Waypoints around the planet have now been replaced with our new Communication Relay Satellites. This model code named; Dragonfly has already been deployed in all previous Waypoint Satellite locations in geo-sync orbit around the planet. These new models are equipped with the latest in Telepresence technology in order to maximize communication and control of our fleet. However, be aware that the range of Telepresence from Zenith Station is limited and requires these Com Relays to boost the signal. Be certain to deploy more of these Satellites to extend the range and direct control of our fleets. Even after deploying these Satellites, already our Engineers are hard at work creating a more advanced version of the Dragonfly Com Relays. They theorize they can extend the output range of our Telepresence control, but with a greater power demand on the Satellite’s systems. With more advanced solar panels and a stronger antenna, our Engineers have come up with the Com Relay MKII – Spider. It will be up to you, Warden, to give our Engineers the green light to further develop our Com Arrays and deploy these stronger versions in the future. 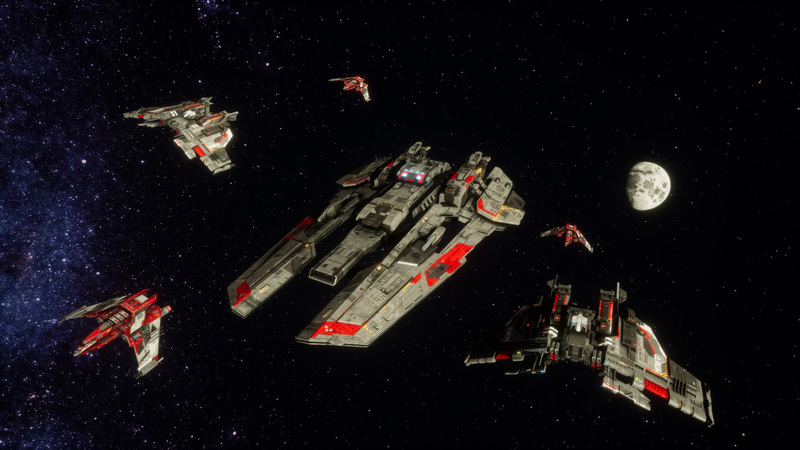 There were unconfirmed reports up until now, but it seems that we have finally received confirmation of a secondary fleet also operating in orbit. This “Aegis of Terra” group seems to have some knowledge of our existence and even our Telepresence technology since they seem to be actively attempting to jam our Telepresence network. 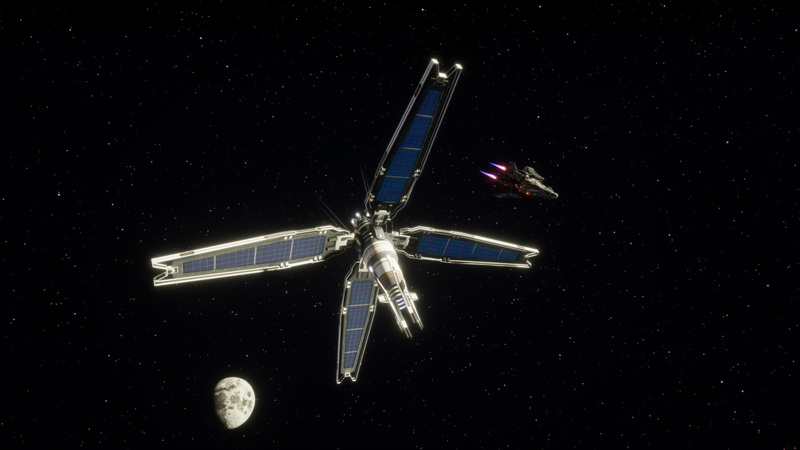 It also seems that they do not use this same technology within their ships but rather utilize a robotic network instead and pilot their ships completely remotely instead of taking control directly of the pilot within. As of present, we seem to believe their fleet may be funded by countries that were dissatisfied with our performance and have since withdrawn support to the Solar Warden. This poses a massive problem as this “Aegis of Terra” will likely have similar technology to what we have already developed for our own fleet. We want you, Warden, to find out their intentions and annihilate them from the planet’s orbit. Specific to their ships though, our engineers theorize that it may be possible to retrieve some of these ships and re-purpose their remote system to be integrated into our Telepresence network and control their ships directly. However we will need to develop the means in order to capture these vessels, which is why our Engineers have been toying different specialized weaponry such as EMP missiles and Ion Pulse Cannons for such encounters. While dealing little harm to the Silicoid menace, using these weapons will be highly devastating to electronics and will likely shut down these ships temporarily, but long enough for us to capture them. Even if you decide not to capture them, these weapons will still be effective at first disabling their vessels long enough for easy kill shots, but the decision is up to you Warden. Much like our Icarus, this agile fighter holds more firepower than our standard Icarus. 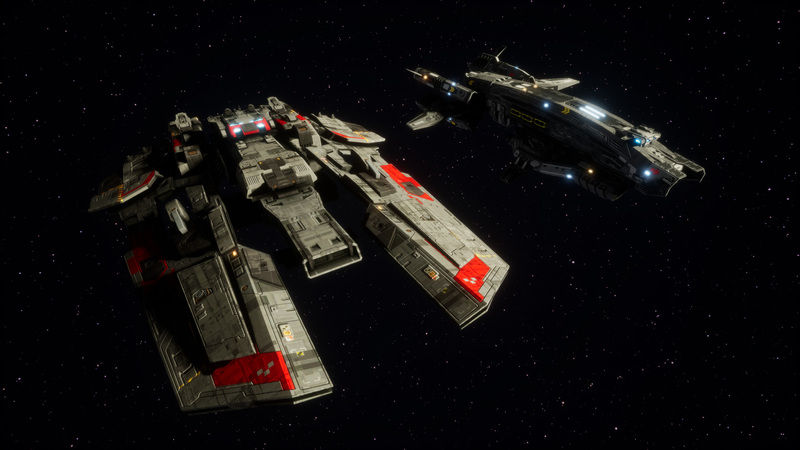 Our intel suggests that this fighter holds up to 6 weapons rather than the 4 of our Icarus, but at the expense of armor and structural support. 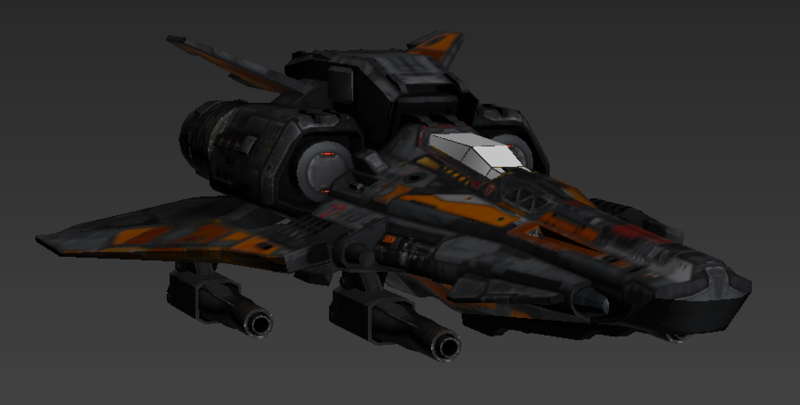 We believe this ship to be the Aegis of Terra’s primary attack fighter. If we can manage to land hits on this nimble craft with our EMP weaponry, our Engineers believe they can quickly integrate this vessel into our Telepresence network even without the need of a Pilot. 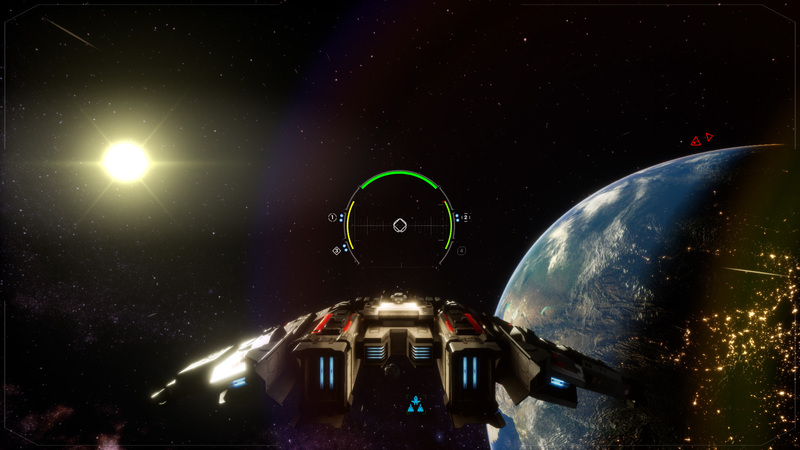 But bare in mind that there may be glitches with the interface during high maneuvers. After skimming through their broadcast code, we believe we uncovered the name of the Aegis of Terra Bomber. The Typhon. Set to outgun even our Tempest Bombers, this monster packs quite a punch and contrary to their Osprey, the Typhon is very bulky and heavily armored. We believe this vessel to act more as a long range Bomber than a direct engagement ship, which may leave it open to close range assaults. Our Engineering staff believe that after capturing this vessel and taking it out for flight that it will feel a lot more like a Corvette with it’s maneuverability than our Fighters and Bombers. This vessel was never really meant for direct dog fighting. Due to always engaging at range, it stands to reason that there may be some advanced optics on this vessel that it uses to zoom in much better than our current optics on our own vessel. Capturing and reverse engineering this technology may just unlock the ability for us to zoom in on our targets for better accuracy at range. The Nox seems to have been spotted only a handful of times. The largest of the current vessels we’ve seen, this ship is comparable to our Helios Corvette. However instead of a similar amount of armament, the Nox seems to be primarily geared with heavier weapons to deal with larger targets. It also seems like it’s current armament is primarily ballistics base and not energy weapons. Perhaps this vessel is geared toward engaging the Crystalline Silicoid instead of engaging our vessels? It’s hard to imagine this vessel having as much acceleration as it does due to it’s bulk. As it never seems to stay within engagement range of our vessels, it’ll be tough to capture this vessel and examine it fully. Perhaps it’s acceleration and fast Mag Drive activation is due to those engines it has. We will need to obtain one to be sure. Along with all the new technology, we’ve been busy designing new Weapons and Equipment for future use on our vessels. From Ballistics such as the new Ripper Gun, Flak Cannons and the Phoenix Cannon, to Energy Weapons such as; Neutron Cannons and Plasma Cannons to the more exotic specialized weaponry like Ion Pulse Cannon, the Fusion Lance, and even the Graviton Beam, and also the potential for higher yield ordinance beyond Nuclear such as; Neutronium Bombs, Anti-Matter, and even a Singularity. Our Weapons experts are hard at work doing some R&D on the latest tech when it comes to annihilating the Silicoid and now also the Aegis of Terra. However, not only have we broadened out horizons for our Weapons, we have also expanded upon our research into additive equipment onto our vessels that may have passive or active benefits in the field (so to speak). These include automated Anti-Missile Rocket turrets, Nano repair bots, Energy Absorbers, Telepresence Relay Antennae, and many more to be equipped onto vessels of your choice, Warden. Further technological breakthroughs will allow us to develop the most advanced technology to help us in staying ahead of the Silicoid invaders from laying waste to our planet. As our designs for our weapons improved, we have discovered it was time to standardize our weapons and have them follow a more universal mounting system. 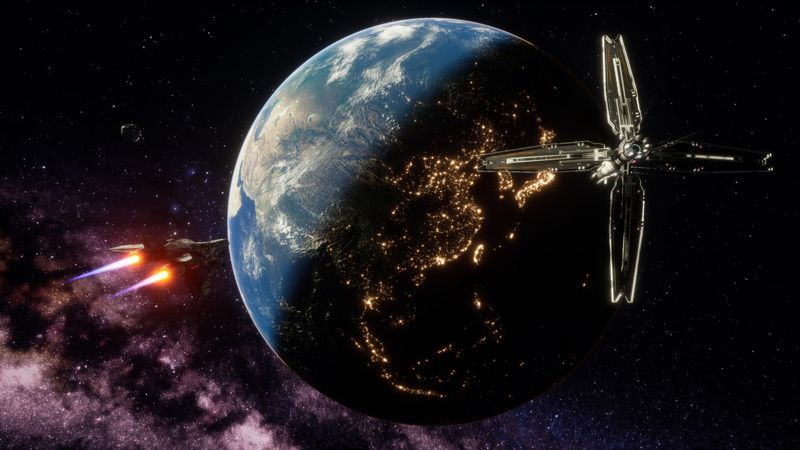 Since a few of our prototype weapons have been highly specialized, such as the Railgun that was specific to the Hyperion, we found that over specialized weaponry will not aid us in our fight to overcome now 2 enemies. We need to overcome by converting to a mass production line. With that in mind, we decided to go back to our standard 20 mm Auto-Cannons and look at refitting them into a specific dimension along with a universal gimbal that can be equipped onto any vessel with a similar sized mounting slot setup. 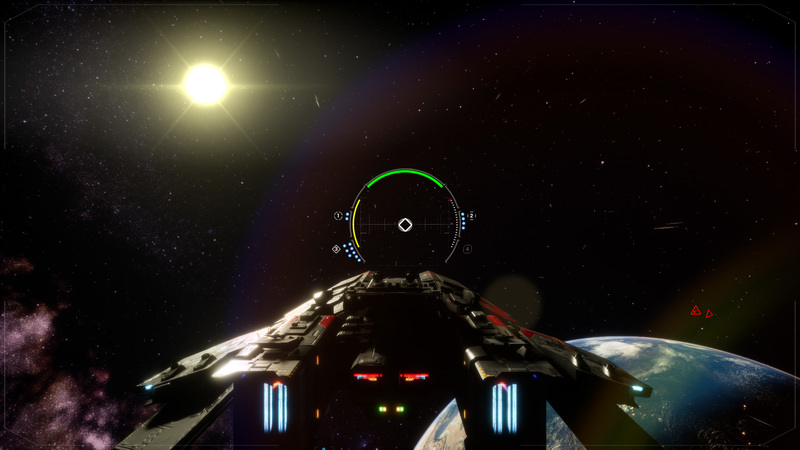 With the 20 mm Auto-Cannon refit and now setup with the new standard mount, we attached it to the Icarus and were pleased with the result. This standard gimbal turret would also accept any other similar sized weaponry that we wished to attach. 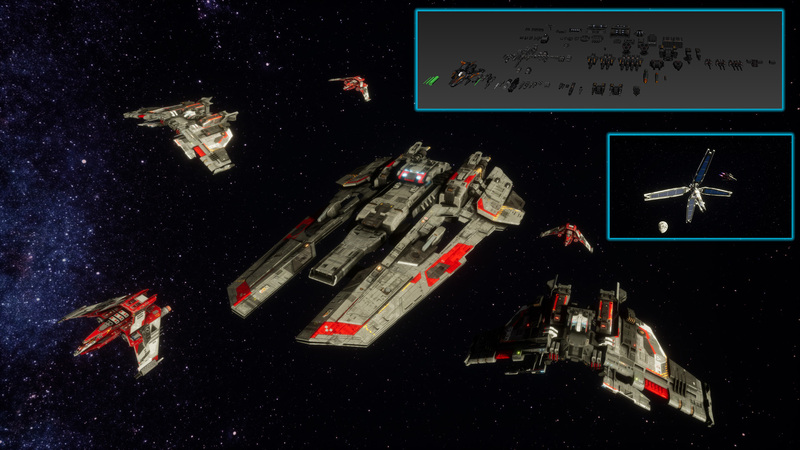 This modular setup will now allow us to mass produce new weapons to be fitted not only on Fixed Mounted location on the ship chassis, but also allow for us to attach the modular weapons to an easy gimbal mount for a more flexible use when dynamically aiming with your crosshair. Additionally, we are currently in the works to adapt this to our turrets and will soon have a standardized system that will allow us to mount these weapons is a variety of different ways onto Pods that will be fitted to the turrets. We will keep you informed of our progress, Warden. We appreciate you reading over our status report and will keep you informed of new developments. 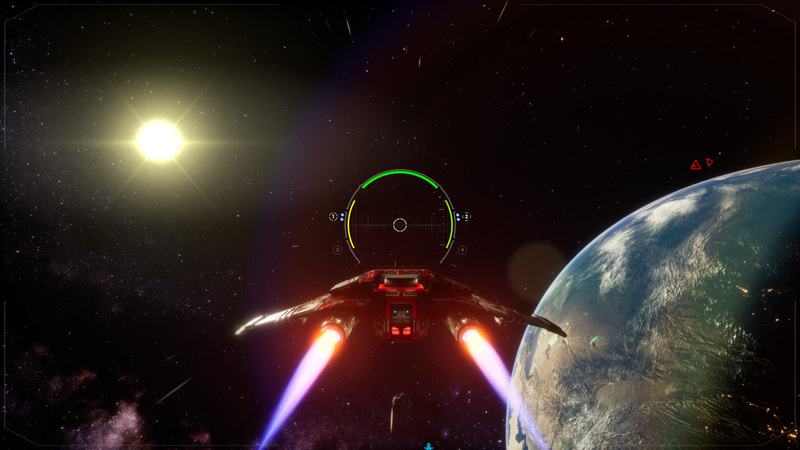 0 Comments ON " Dev Update – New Com Relays, Ships and Weapo... "